Sometimes it just isn’t your day. Day three of Gamescom was just one of those days for me, right from the start. Upon arriving, I checked my phone to see what my first appointment was, only to discover that it was dead. I finally managed to find somewhere to check out my computer to see what my first appointment was, and lo and behold it was in only ten minutes. Oh, and it was at the other end of the convention centre. A short sprint later and I was told that I was in the wrong place and sent running back the way that I had come – thankfully only for a few hundred metres. I arrived out of breath but on time. Phew. Confronted by a perfectly friendly PR man, I tried to explain my situation. Turns out that he didn’t have me on any of his lists, and that the demonstration that I was there to see had already started without me. Undaunted, I talked him into changing my appointment to later in the day, but the only slot that he had open cut my lunchtime in half. Oh well. Fast forward a couple of hours and I was back again, after another postponed appointment and one that had run long, making sure that I had no time to eat whatsoever. So, hungry and more than a little bit peevish I arrived at the Focus Home Interactive booth to see Of Orcs and Men. When I finally did – we had to wait a while, the dev was lost – things finally started to look up. In fact, despite the foul mood I had got myself into, Of Orcs and Men took my breath away. I had read Zero’s preview from E3, and in it he had raved about the way that the game looked, so I had some of idea of what to expect. I had girded my loins and prepared to be impressed, but even so I was blown away by just how incredible Of Orcs and Men looked. 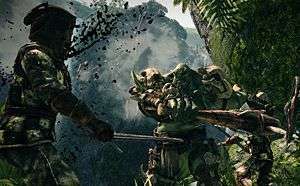 The game follows two ‘greenskins’ who are just about the last of their kinds. After a war with the humans – that they lost – the Orc and Goblin nations were left shattered and at a fraction of their previous powers. The humans, terrified by the thought of another war, have set out to end the threat of the greenskins permanently. 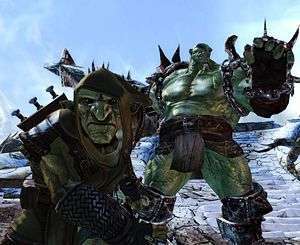 The two protagonists, Arkail the Orc and Styx the Goblin, travel through the game together at all times – they fight together, win together and level up together, working as a team, whether it is to neutralise a particularly irksome enemy or to progress through a gate that looks to be locked. The ability to flit between your two main units throws up all sorts of possibilities, both in combat and in exploring the gorgeous world in which the game is set. 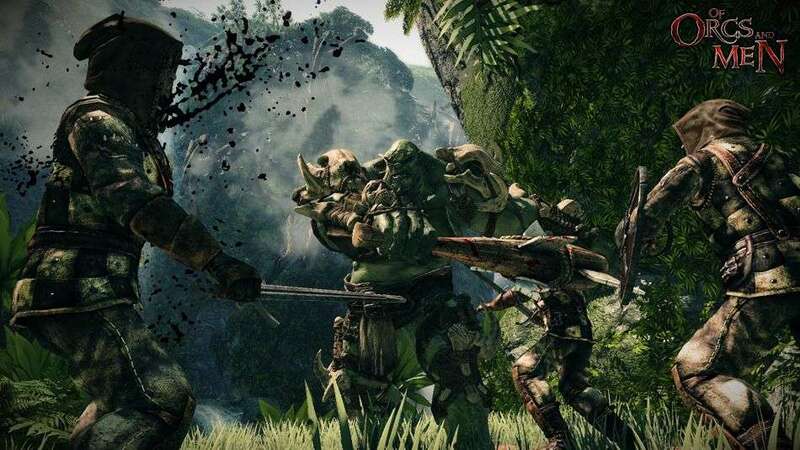 When it comes to exploration, Styx can find passages that Arkail could never fit through, whereas Arkail can bulldoze his way through obstacles that would leave Styx stumped. The combat itself looks clever, as switching between the two main characters can make a big difference to your fortunes. Each of your two characters can be set into either an aggressive or a defensive stance, with the amount of damage they give or take varying between the two. Once set in this stance they’ll stay there until you change it again, meaning that you can flick between the two of them at any point and they will continue to attack how you want them to, which leaves you to make use of the extensive range of skills and special attacks at your disposal. 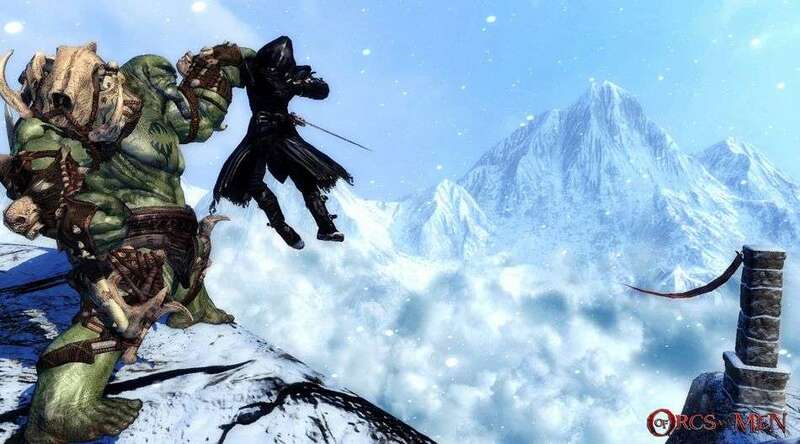 Arkail and Styx are both totally unique from each other, with the Goblin concentrating on stealth and dealing attacks that do plenty of damage, with little risk to his person, and Arkail generally wading into battle and absorbing hit after hit. They also both have abilities unique to them, with Styx able to enter stealth mode and take down unsuspecting enemies with quiet efficiency. On the other hand, Arkail’s ability is only activated in battle, where he has a rage bar that builds with every hit that he gives or receives. When that bar is filled all hell breaks loose, with Arkail going into his rage mode, giving him a massive boost in power, and the ability to deal out vast amounts of damage. Once in rage mode, however, he loses all control over himself and attacks anything within range. When this happens, you’re thrust back in control of the goblin, and should you stray too close to the massive Orc you could find yourself in a world of trouble. 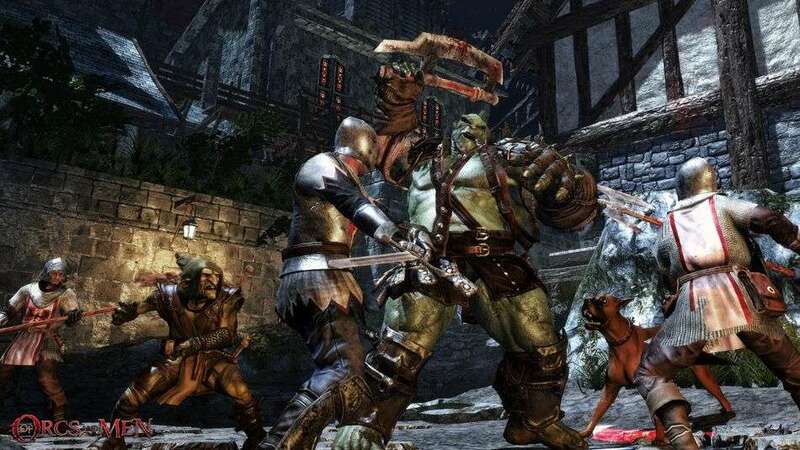 Styx has several skills that can help influence the build up of the rage bar so that it doesn’t go off too early, but is also available when it’s needed in a tight situation. This is just one of the skills that Styx can access, which are obviously completely different those of Arkail. The system in place that supplies these skills is a nice little twist on the RPG staple of ‘unlock a technique and upgrade it a couple of times.’ Both Styx and Arkail gain the same experience points from a battle, leveling up together. When they do they are able to improve their stats and either unlock a new skill for any of the three skill sets available – offensive, defensive and special – or upgrade one that you have already unlocked. The catch is that you can only do this once on an ability, really driving home that in this game the little choices matter. As is the norm with games like this, your choices influence things later on, and it’s the smallest of these decisions that can make the biggest differences. In fact, one of the biggest influencing factors throughout the game is the small matter of who speaks in your conversations with other characters. Styx and Arkail’s personalities are as different as their appearances, and their dialogue reflects them, to a point. When in conversation with other characters Arkail will be blunt to the point of rudeness and will seldom beat about the bush. Styx, on the other hand, is compulsively deceptive and almost never gives a straight answer. 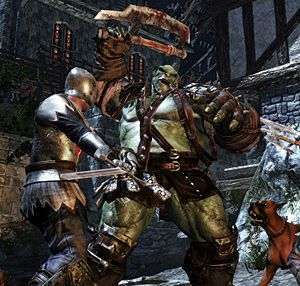 When Styx is chosen to speak over Arkail – or vice versa – both the conversation and the consequences of how the game continues are changed. At this point there’s going to be a descent into raving about just how gorgeous this game is, because no matter how good the screenshots are, they’re not going to do this game justice. 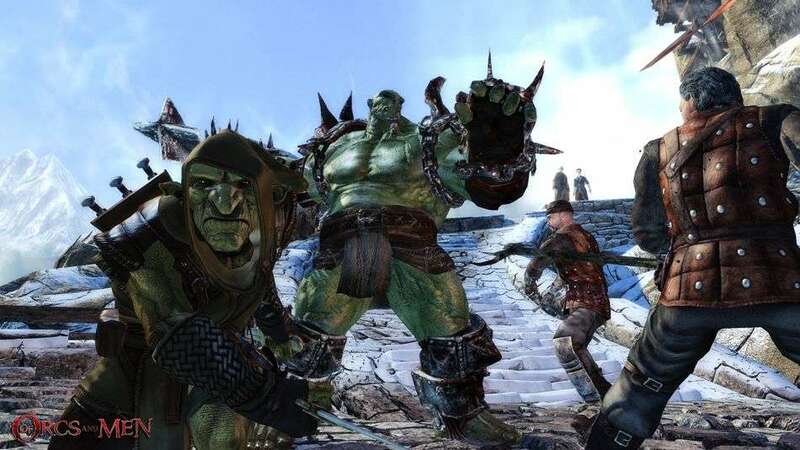 It’s difficult to explain how good the Of Orcs and Men looks because, as a console gamer, I’ve got very little frame of reference. 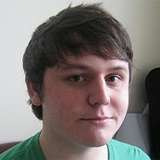 If a game that good looking appeared on the Xbox I’d probably swoon. A lot of effort has been put into making the game look incredible, with the developers at Spider creating their own engine – called Silk – which has created both a world and a pair of protagonists that look incredible, crafting a depth of immersion that you seldom see in any game. The level of detail that has been lavished upon this title is astonishing, with snow that whips up and stirs in flurries, and water that shifts and moves while it reflects sunlight. The end effect of this gorgeous engine is that the world almost seems to be a living, breathing entity. You almost get the impression that if you left it the world would just carry on with its business without you. It’s truly one of the most beautiful game worlds that I have ever come across. 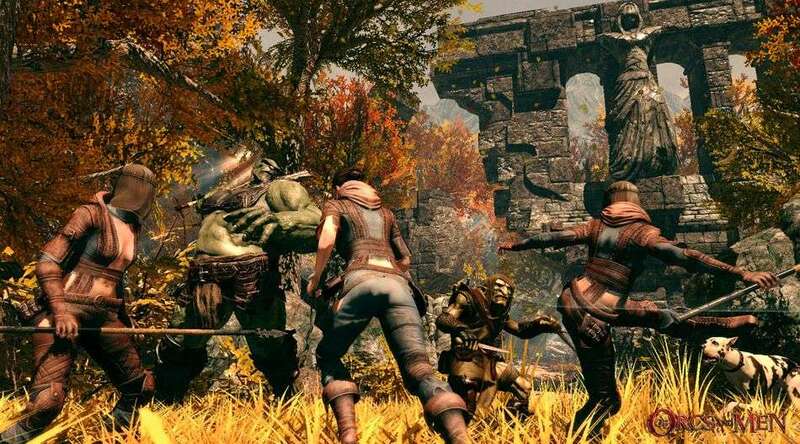 Of Orcs and Men is game that has genuinely caught my imagination. The idea of playing as characters that many other games portray as the villains is intriguing, as is traveling through a world where nearly everything is against you. The two protagonists give the game a much more strategic feel, where it’s necessary to chop and change between them in order to succeed in against your enemies. More than anything though, being able to roam a world that feels so immersive that it carries on when you switch off is immensely appealing. With no solid release date announced yet it looks like there’s still going to be a while before this game is even on the horizon, but for that half an hour it took my rubbish day and transformed it. And for that, I’m happy to wait with bated breath. Hopefully it won’t be long wait, but even if it is I get the feeling that it would be well worth it. Here’s hoping.